Australian-developed suspension underpins the new Ram 2500 and 3500 pick-ups to aid in ride comfort. Ateco Australia has announced the latest updates for its Ram 2500 and 3500 pick-up range, headlined by an Aussie-developed suspension tune, a more modern multimedia system and new configuration options. According to Ateco, both the 2500 and the larger 3500 now feature revised suspension settings specifically designed for Australian conditions, improving ride quality without affecting towing capabilities. Inside, the vehicles have been treated to a new 8.4-inch 'uConnect' touchscreen multimedia system with Apple CarPlay and Android Auto, which is capable of mirroring two mobile devices at once. Both the 2500 and 3500 pick-ups come with a 1.9m (six-foot four-inch) tub as standard. Other added tech features include rain-sensing wipers, auto-dipping high-beam headlights and load bay lights that illuminate when the vehicle is unlocked. 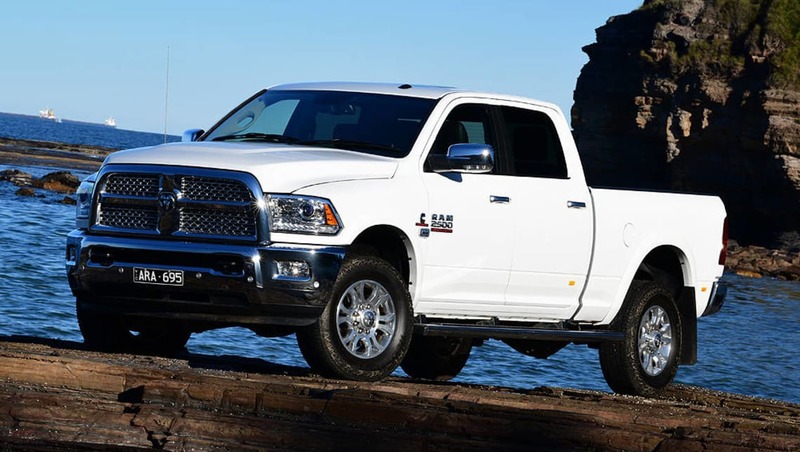 Ram's unique cargo management system, known as ‘RamBoxes’, are still available as an option, but now come with a full tonneau cover as standard. For the 2500, a five-seat option will be offered at a $1000 premium, swapping out the front bench for two standalone bucket seats as opposed to the standard six-seat configuration. 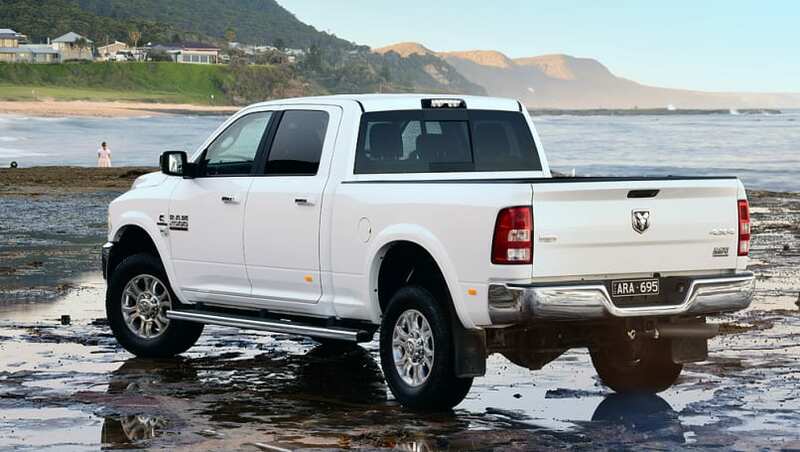 Both the 2500 and 3500 pick-ups come with a 1.9m (six-foot four-inch) tub as standard, though a 2.4m (eight-foot) tub option will now be offered, which provides more cargo space and boosts the fuel tank size to 132 litres. Exclusively for the 2500 fitted with a 2.4m tub, auto-levelling rear air suspension will be available for $4000 that automatically detects load on the suspension from a trailer or payload and makes adjustments accordingly. Finally, a 'Sport Appearance Package' will give the Ram 2500 a beefier look, adding a redesigned grille and bumpers, black tubular side steps, 'performance' shock absorbers, black 20-inch rims with all-terrain tyres and dark lined bi-function projector headlights. 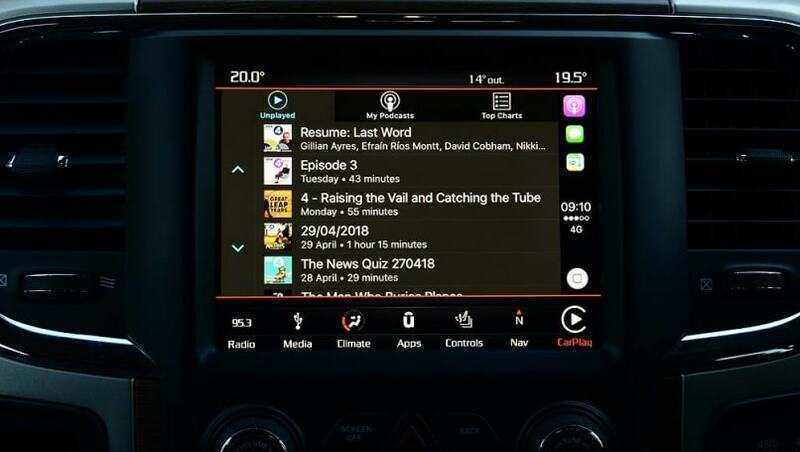 The new vehicles have been treated to a new 8.4-inch 'uConnect' touchscreen multimedia system with Apple CarPlay and Android Auto. Pricing starts at $139,950 plus on-road costs for the entry-level 2500 Laramie with a 1.9m tub. That jumps up to $140,950 when opting for a 2.4m tub, and topping out at $150,950 with the Sport Appearance Pack and RamBox options ticked. Meanwhile, the 3500 Laramie kicks off at $144,350 with a 1.9m tub and up to $145,350 for the 2.4m. Two versions of the 3500 are offered, the aforementioned model which requires a standard car license to operate, and another which demands a light rigid truck driving license but grants a higher payload and the vehicle's full 6.9 tonne towing capability. Pricing for the latter is set at $146,950 for the 1.9m, and $147,950 for the 2.4m. Powering both variants is a 6.7-litre Cummins turbo-diesel in-line six cylinder engine that delivers 276kW of power and 1084Nm of torque, matched exclusively to a six-speed automatic gearbox. Maximum payload is claimed at 913kg for the 2500 and 1713kg for the 3500, with a max towing capacity of 6.9 tonnes. Will you be putting your hand up for one of Ateco's latest mega pick-ups? Tell us your thoughts in the comments section below.